Early in September, Obama and the Democrats, who have carried forward some of the very crimes so hated under Bush, will gather at the Democratic National Convention in Charlotte, NC to affirm, bless, and continue US aggression around the world and unjust policies at home. On Tuesday February 28, an array of notable voices of conscience spoke publicly in support of Occupy. In New York's Union Square, 450 gathered at the "F28 Stand with Occupy - Don't Suppress the Occupy Movement" rally and then marched to Liberty Plaza (Zuccotti Park) from which Occupy Wall Street was evicted almost four months ago. Professor Noam Chomsky sent a video message to the rally. Actor Susan Sarandon said that Occupy "opened up a very public debate... and it exposed brutal practices of suppression. The rally was kicked off by Peter Yarrow (of Peter, Paul and Mary, the well-known folk group from the '60s) exuberantly taking the stage and singing, accompanied by his daughter Bethany Yarrow. 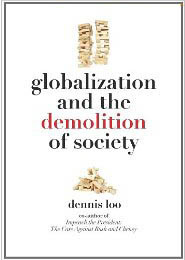 Professor Loo explores how free market fundamentalism creates a global situation where governments must increasingly rely on secrecy, deception, surveillance, fear and force to maintain control. F28 Stand with Occupy! Don't Suppress OWS! Mass actions February 28, demonstrating that Occupy has right on its side in a nonviolent way in NYC, Chicago, Cleveland, Houston, Minneapolis/St. Paul, Hollywood: details here. No Rubber Bullets - No Beatings - No Tear Gas - No Mass Arrests - Drop All the Charges Against Occupiers! When World Can't Wait was started in 2005, we issued the Call to Drive Out the Bush Regime, which said in part: "That which you will not resist and mobilize to stop, you will learn - or be forced - to accept." This is a lesson which has been learned by people throughout history and around the world, including throughout the Middle East now, and must be understood by people in this country as well. 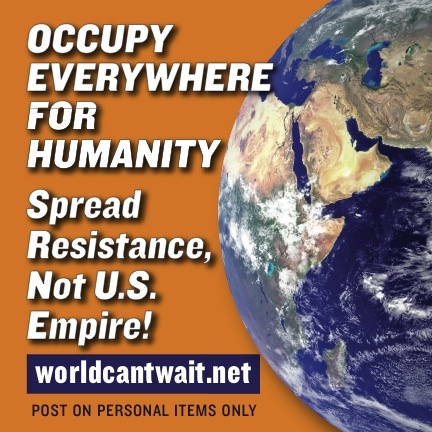 World Can't Wait is supporting the Call for Mass Action Against the Suppression of the Occupy Movement. It's not only the barricades and batons, constant surveillance, mass arrests, and escalating charges against occupiers. It's the fact that these occupations have been pushed and beaten from public squares, and squeezed into the margins. Make Tuesday F28 a Day of Mass Action Everywhere; Stand with Occupy. STOP the Suppression of the Occupy Movement! On Saturday, January 28, more than 1,000 Occupy Oakland demonstrators staged a march to occupy a city-owned building in downtown Oakland, California that has been vacant for the last six years—and transform it into a community center. This powerful show of the continuing strength and defiance of the Occupy movement was met and brutally assaulted by hundreds of Oakland police, who repeatedly attacked the protesters, penning them into small spaces and shooting tear gas canisters, rubber bullets and bean bag rounds into crowds. Throughout the day, people showed great courage and defiance in the face of these brutal attacks. By the end of the day more than 400 had been arrested. A national call went out just a week ago for a National Day of Action to resist U.S. war against Iran. 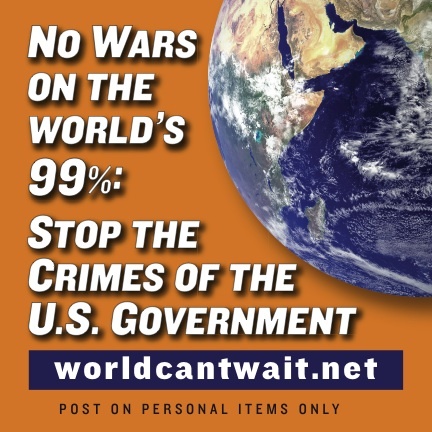 Will the Occupy movement be the leading voice saying "No Iran War!" ? 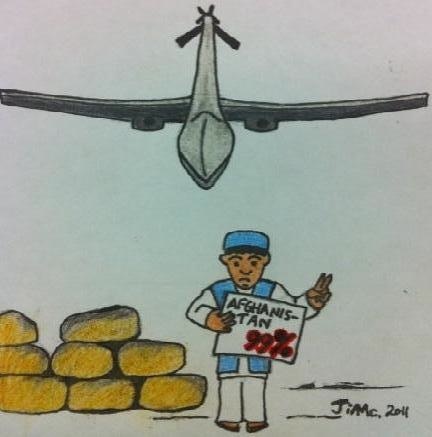 Some people might argue that the problem of preventing the newest U.S. war is not squarely within the area of concern of Occupy. I would argue that, in fact, there is no one better-positioned to take up this resistance than the biggest group of people in the U.S. who have gotten first-hand experience of U.S. government threats and repression. It is not a coincidence that legislation that aimed at both Iran and at the Occupy movement was signed into law on New Year's Eve.